The Larrivee D-03 Mahogany Standard Series Dreadnought offers the perfect blend of traditional acoustic guitar design, premium features and unsurpassed Larrivee craftsmanship. 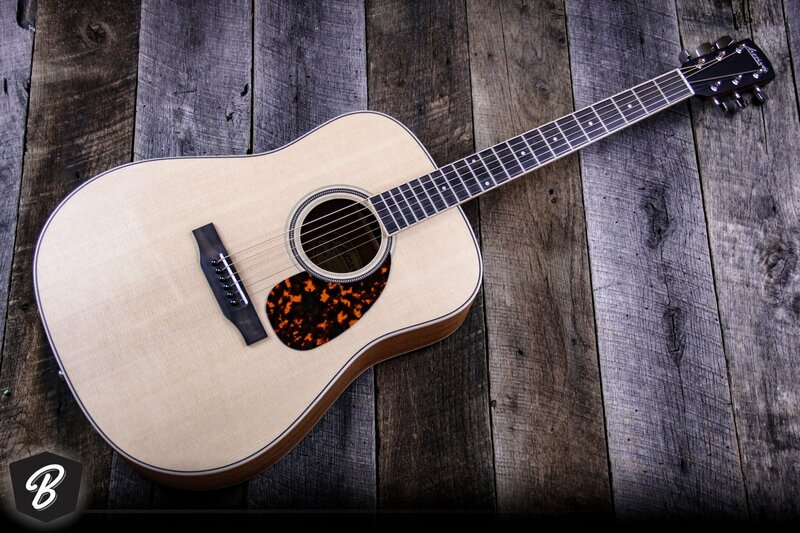 A great choice for players looking for a no-nonsense acoustic workhorse that'll satisfy a wide range of styles, the Larrivee D-03 Acoustic Guitar features a traditional dreadnought body, a solid Canadian Sitka spruce top, Canadian Sitka spruce Symmetrical Parabolic X bracing, and mahogany back & sides for incredible projection and tonal balance. 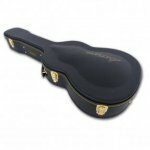 The comfortable single piece mahogany neck sports a hand-fit dovetail joint and a superbly playable compound radius African ebony fretboard with microdot inlays. Catering to its classic appeal, the D-03 features a herringbone inlaid rosette, an exclusive beveled tortoise pickguard and ivoroid fretboard binding. Other features include Canadian maple body binding, a satin neck & body finish, an African ebony bridge, a rounded Larrivee headstock with a white inlaid Larrivee logo, a GraphTech Tusq nut & saddle, and a set of Ping tuning machines with an 18:1 tuning ratio. Number Of Frets20Scale Length25.5"Neck TypeDovetail JointNut Width1-11/16"Neck WoodMahoganyFingerboardAfrican EbonyBody WoodSolid MahoganyTopSolid Canadian Sitka SpruceBridge TypeAfrican EbonyTuning MachinesSealed GearsOrientationRight-HandedCase/Bag IncludedYesCase TypeHardshell CaseSeriesMahogany Standard SeriesModelD-03. We are an Authorized Dealer for Larrivee Guitars. Thanks for shopping with BME!